Kevin works with a wide variety of individuals, and teams, ranging from weekend warriors to Olympians. Programs are individualized and scaled based on the athlete’s goals and availability. What separates Kevin Purvis is his attention to detail. His training is individualized. 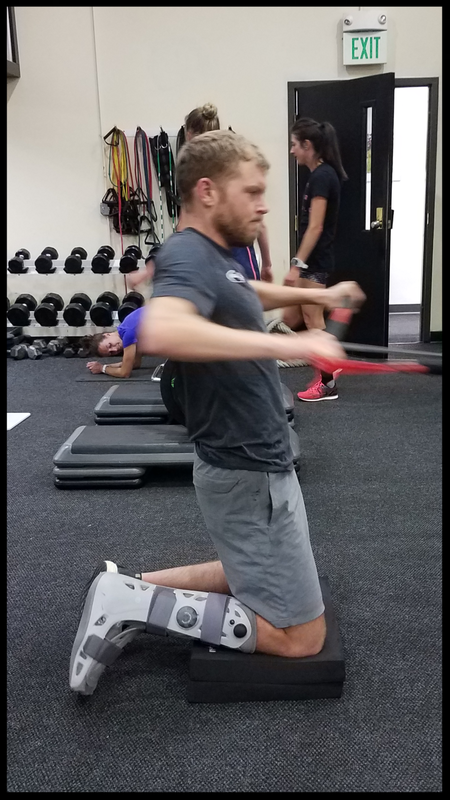 My needs as a marathoner and as someone returning from achilles surgery are fundamentally different from any other kind of athlete - Kevin has taken the time to understand those needs and to tailor my workouts to them. His training is holistic. With Kevin’s workouts I am not just “stronger”; my mobility is better, my symmetry is better, my form is better. His training is dynamic - Kevin’s workouts change based on what I’m training for, what benchmarks I’ve hit, and how I’ve responded to past training. He is constantly researching and updating, and anything new goes right into my workouts (once he’s verified it on himself of course). And at the end of the day, he’s fun to work with. Having undergone as many setbacks and frustrations as I have, Kevin’s positivity and enthusiasm have been as helpful in my training as anything else; he is truly one of the best coaches I have ever worked with. Kevin Purvis has been that secret weapon in my training and racing. His expertise in strength has taken my success to new levels. Kevin truly cares about me and all of his clients, and looks at the overall picture of the athlete and not just the day to day. Kevin understands how important it is to keep the focus on the other aspects of endurance training and makes sure that his strength coaching doesn’t take away from that. His strength planning is designed to compliment your main sport, and I have experienced that from day one!